April 2017: Denison, TX. 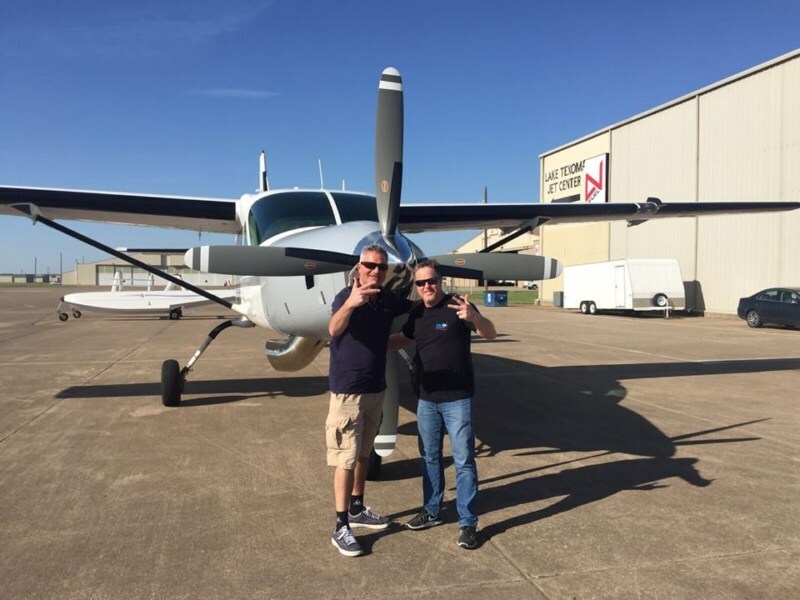 – Texas Turbine Conversions, Inc. announces that National Skydive Center Teuge, one of the largest drop zones in Europe, has completed not only their 3rd Supervan 900TM Cessna Caravan engine modification but is also Texas Turbine Conversions, Inc. 100th TPE331-12JR conversion customer. Bryan Meijers, Chief Pilot of Skydive Teuge states that “The Cessna Caravan is a perfect ship for skydiving with only one disadvantage-The original engine runs too hot and is lacking climbing horse power; however, we found the solution from Texas Turbines. After one year of doing our homework in the Supervan 900, we decided to convert our first Caravan. The performance numbers Texas Turbines promised us were true, in fact they were even better. More horsepower cuts the ride to 13.000 ft AGL with 18 skydivers on board from average 18 minutes with the stock Caravan to only 11 minutes with the Supervan 900TM, resulting in 20% less fuel consumption and 35% more lift capacity. Together, with the much longer TBO and increased maintenance intervals, the operating costs dropped significantly; and there is more- The Supervan 900TM produces less noise in flight, which is very important in highly populated areas like Europe. Last but not least, we saw less pilot errors due to the one-touch automatic engine start-up and Single Red Line computer with Torque and Temperature limiter.” Why did the company decide to do a 2nd and 3rd conversion? The answer is simple. “We knew that if we kept flying with the stock-caravan it would cost us money. 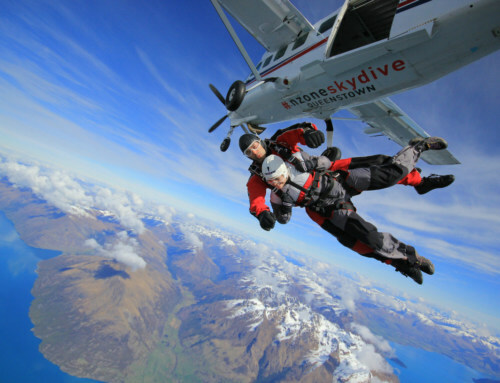 Due to the highly efficient Supervan 900TM and the fact that Skydive Teuge is a non-profit association, the board was able to lower the price for jump tickets” states Meijers. Texas Turbine Conversions, Inc. is an industry leader with over 20 years experience in Honeywell TPE-331 modifications and has performed conversions utilizing the Honeywell engine in over 10 countries including: Australia, Germany, Suriname, Belgium, France, Austria, New Zealand, Canada, Alaska, and Mexico. 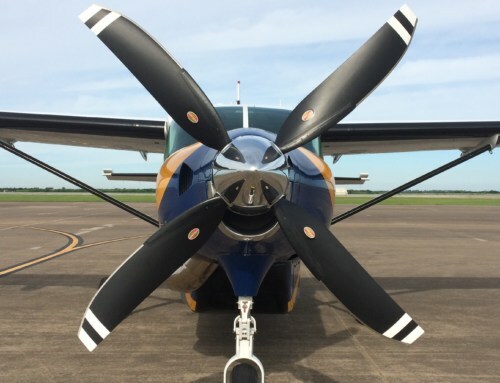 This engine upgrade includes a new factory fresh engine and propeller, and all new major components including: batteries, wiring, engine cowlings, and a redesigned exhaust system. The conversion provides the operator increased horsepower from a 675 shaft-horsepower to an incredible 900 SHP, provided by the Honeywell TPE331-12JR engine. Benefits also include reduced fuel burn, lower maintenance costs, and a higher 7000 hour TBO. The Honeywell engine has proven its reliability with over 50 years on the market and is used on many of the best performing aircraft in the world. For more information please visit www.texasturbines.com or call 903-786-5050.